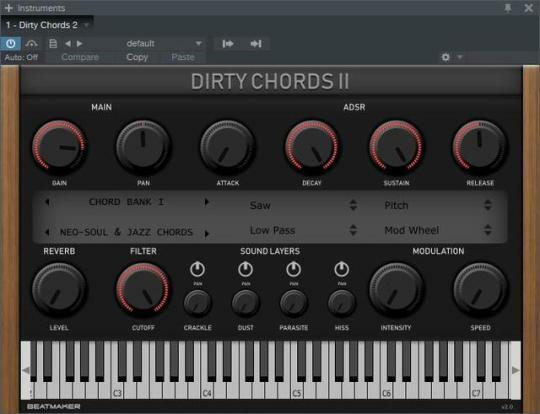 Description : Dirty Chords is a VST / AU rompler for Windows and Mac for playing chords with one finger. Dirty Chords 2 contains 3 ready-to-use chord banks. Each bank contains different sounds and 128 chords.